Very gritty looking. Nice tats and the lighting is outstanding. Nice to see that not everything is ''PC'' in the 3D world, obviously inspired buy your experiences in good old Milton on a Saturday night.Nice to see that not everything is ''PC'' in the 3D world, obviously inspired buy your experiences in good old Milton on a Saturday night. The "Modern" side of the actual Pin-Ups. Great work. 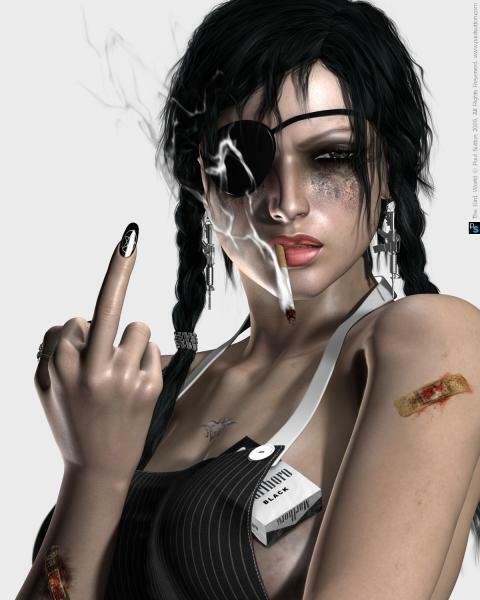 I've done a few "tough girls", buy nothing like these - great artwork!